Why do Map Projections Matter? This is a clip from the TV show West Wing (Season 2-Episode 16) where cartography plays a key role in the plot. In this episode the fictitious (but still on Facebook) group named “the Organization of Cartographers for Social Justice” is campaigning to have the President officially endorse the Gall-Peters Projection in schools and denounce the Mercator projection. The argument being that children will grow up thinking some places are not as important because they are minimized by the map projection. 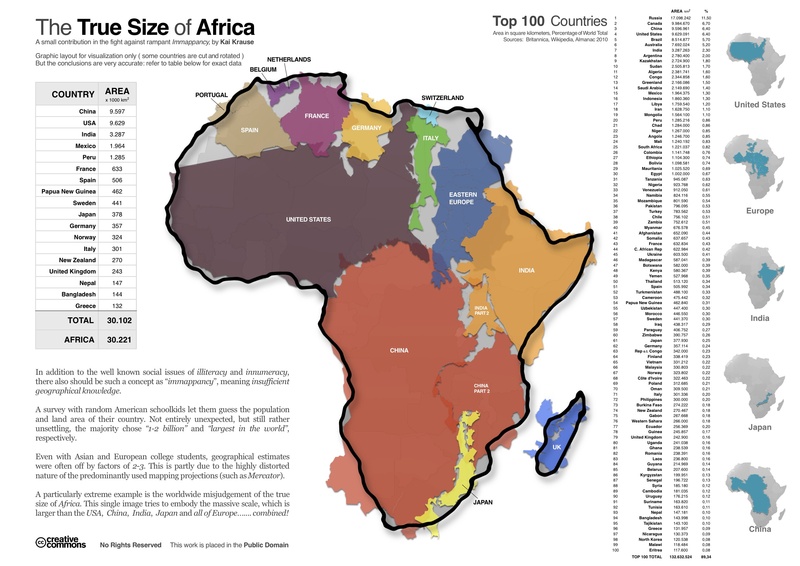 As Salvatore Natoli (a leader in geography education) was quoted in the video clip: “In our society we unconsciously equate size with importance and even power.” This is one reason why many people have underestimated the true size of Africa relative to places that they view as more important or more powerful. Questions to Ponder: Why do map projections matter? Is one global map projection inherently better than the rest?